Ordering coffee, we usually refer to it just as Americano, Espresso or Latte... However, good coffee shops that offer really high-quality coffee, would ask you to specify a type of coffee beans and the country of origin. And at this point many visitors usually feel at deadlock. Unique flavour and fascinating fragrance of coffee in your cup depend on many factors: the climate in which it was cultivated, soil, height of growth, amount of fertilizer, method of collection and processing, and then - roasting and storage. In general, a lot of details, but it all begins from the country in which future drink is grown. Today, more than 70 countries cultivate coffee in the hottest parts of the world: Africa, Asia, Latin and Central America, Oceania. Ethiopia is a country in eastern Africa, which has no access to the sea, so its main priority is agrarian sphere. But even in this respect they are not lucky: too dry climate is not favourable for agriculture. Nevertheless, as they say, nature gave special gifts to everyone. 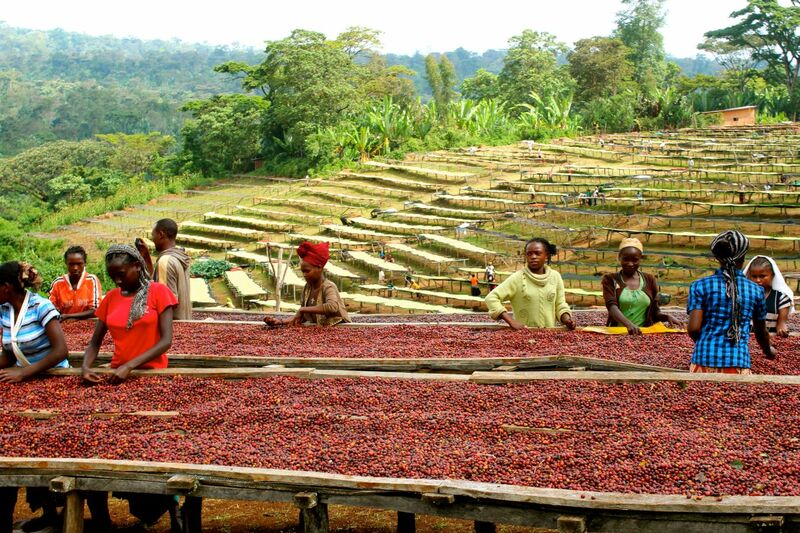 Ethiopian conditions are ideal for cultivation of coffee, moreover, Arabica trees grow here simply in the woods. To get the amazing forest coffee, Ethiopians have just to collect berries and dry them in the sun - no other efforts, fertilizers, all-in-all, no problems. It is not precisely known when people first began to consume coffee drink, but the first written references date back to the 6th century. First, Arabica beans were used to cook food, then to prepare some kind of wine, later they were brewed as a tea. And just over time people learned how to dry beans and make real coffee. The most famous story about discovery of the drink tells about the shepherd whose goats were unusually frisky after having tried bright red cherries growing on a dark green leafed shrub in a forest. It was almost a sacred drink consumed only at religious ceremonies. But over time it became available to everyone, and even left its native country, first travelled to Yemen, and through its port of Mocha coffee started its centuries-long voyage. It should be noted that at each point of crossing, coffee got converted and obtained local names. In short, a wild Ethiopian Arabica was a start for the world's favourite, inspiring and invigorating drink. Its origin is linked to many legends and in many countries it is almost a national cult. But no one can dispute the fact that Ethiopia is really the birthplace of coffee. 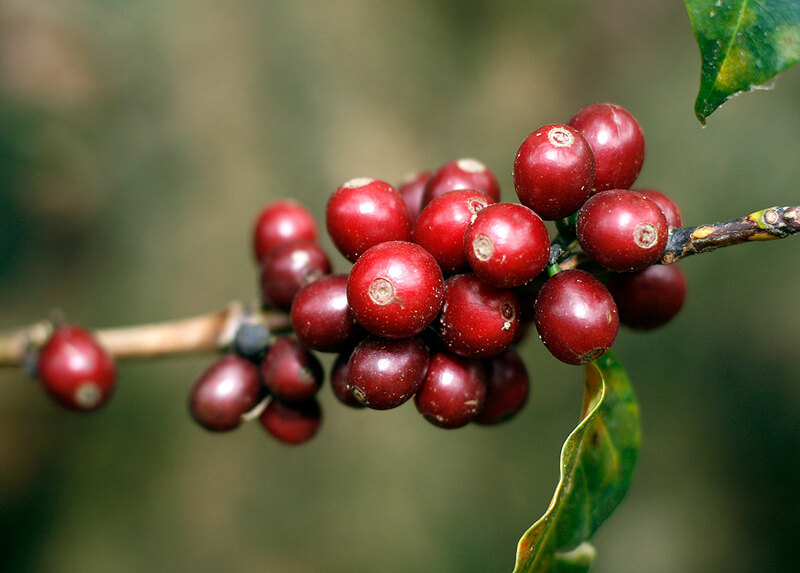 Wild Arabica still grows abundantly in Ethiopian forests and gives about 60% of the coffee produced in Ethiopia. The rest is coffee from private "coffee gardens" which are usually owned by individual families. And only 5% comes from industrial plantations. Basically, coffee beans are processed in the old school style, as the first of them - a method of dry machining. Only the elite class is the result of damp processing. Harrar is a forest grade from eastern Ethiopia, which grows in the highlands. Its taste is an interesting mix of walnut-chocolate tones with light sour note, bitter aftertaste and fruity aroma. Sidamo is a Southern variety, also from the high mountains. Connoisseurs call it a velvety chocolate taste with a sour tone and aftertaste of caramel with a hint of bitterness. Yirgacheffe grows in the same Sidamo province. But because of the wet processing it has chocolate-fruity taste with hints of citrus, but the aftertaste is richer - fruit with floral notes. 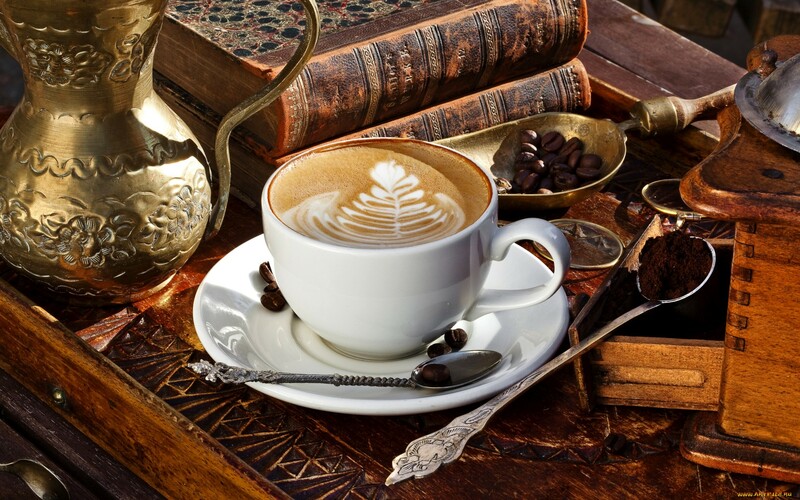 If Ethiopia is the birthplace of coffee, thanks to Yemen this wonderful drink was recognized throughout the world since its ports began coffee export. In addition, Yemenis, admiring the amazing drink from the natural Arabica, launched their own coffee production and reached the great results. Though volume of the cultivation and supply of coffee is very low, but many gourmets claim it to be the most delicious coffee, incomparable with anything in the world. In Yemen, there are no huge plantations, coffee plants do not grow so easily in the wild, generally, climate is unfavourable for coffee. Huge harvests cannot be expected. Yemeni coffee groves are lonely trees, miraculously surviving on the mountain terraces. So, to enjoy the Yemeni coffee is a rare pleasure that can be enjoyed by only the wealthiest people. But what is it? The country grows Arabica coffee only, with special attention to the method of cultivation - organic fertilizers and no chemicals. Local farmers preserved this tradition from the days when coffee was first introduced to Yemen. And all the secrets of its cultivation as a family secret pass down from generation to generation. Even "coffee operations" are carried out manually – it is a private product, not for mass production. We can classify it as an exclusive piece-work. But the fact is that Yemen has a unique composition of soil for coffee plants. And Yemeni coffee is different from the rest by its soft, deep and even, as they say, dense taste, which has almost no sour notes, and is crowned with palette of fruit and wine aftertastes. Talking about the "geography of coffee," we have to mention the most famous name Mocha (originally, name of the town). This particularly rare and valuable variety gets its name from the port city on the Red Sea in Yemen. Moreover, all coffee consumed in the world (except Africa, of course) until the end of the 17th century was brought from there. Those times local coffee plants were covering all the slopes - literally every piece of land. 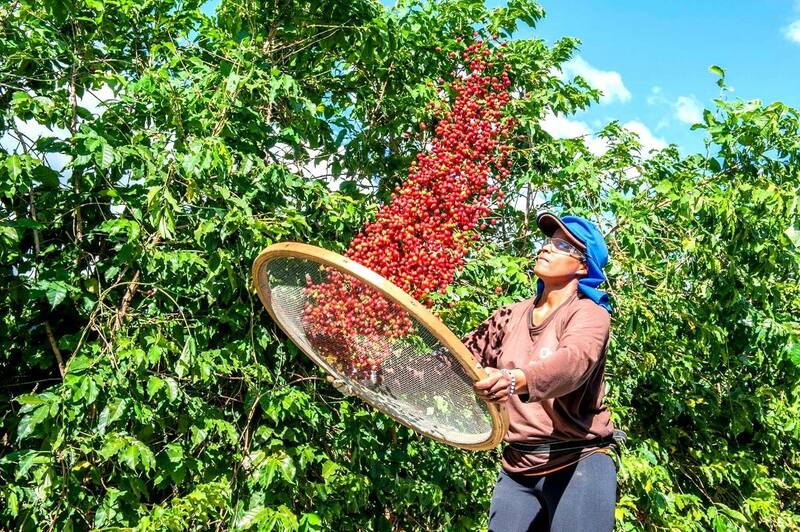 And actually the coffee beans were raised to the rank of relics – Mocha residents were carefully watching that no untreated seed (and it could potentially give the sprouts) came into the hands of the Europeans. Coffee brought huge revenues, since foreigners adored its taste. Among the very finest varieties of Yemeni coffee are Matari, Sanani, Hodeidah. In Brazil, the first coffee trees were planted in 1727, coffee trees do not grow in the wild here. But for more than a hundred years Brazil has been the world leader in the production of coffee. The one-fifth of this vast country is the coffee plantations. And the phrase "Brazilian coffee" is a symbol of the best of taste. The first Brazilian plantations appeared in the state of Pare, then in Rio de Janeiro, Sao Paulo, Minas Gerais, Bahia, etc. Here, there is mild subtropical climate and mountainous landscapes – everything required for coffee. 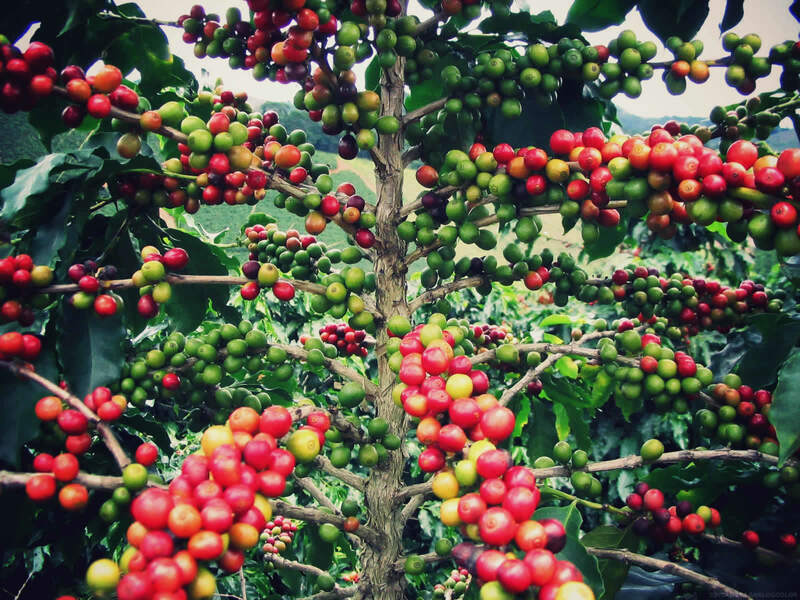 In Brazil, they produce more than 50 varieties: mainly Arabica and Robusta. A good Brazilian coffee is coffee with smooth taste and scent of flowers, prune or roasted almonds, and sometimes chocolate. The best neutral varieties are Bourbon Santos and Santos. Saturated, and even heavy taste is typical for Parnassus, Yellow Bourbon, Maragogype. Such coffees as Rio, Victoria, Capitania and the Caravelle are distinguished by unique taste of iodine and/or soil.